Land Rover is working on a redesign for its iconic Defender, the original version of which bowed out of production in 2016 after a run lasting more than three decades. 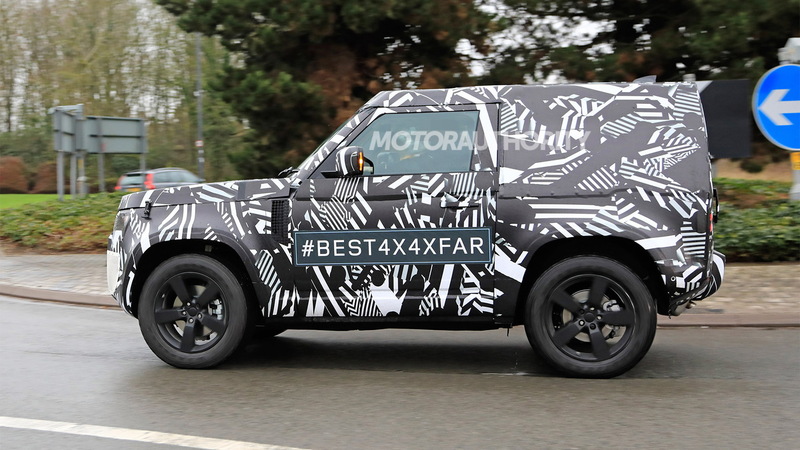 The redesigned Defender starts sales in 2020, meaning we'll likely see it arrive as a 2021 model, and once again the nameplate will offer buyers multiple body styles to choose from. 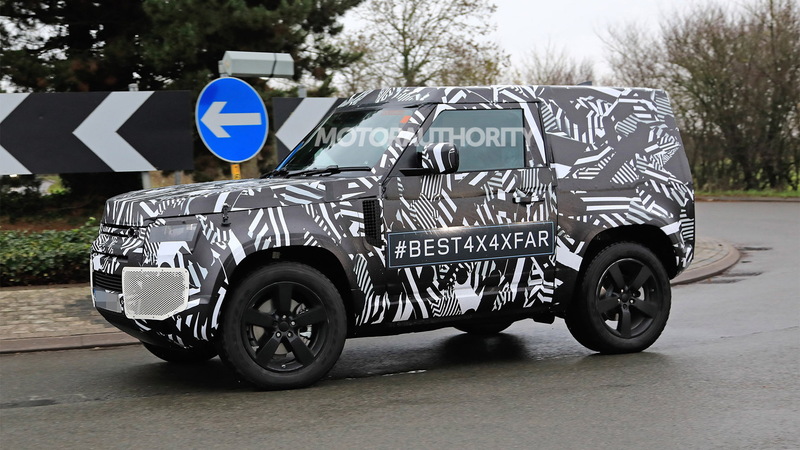 A prototype for a five-door model was spotted earlier in the week and now we have fresh spy shots of a prototype for a three-door model. The three-door version of the previous generation was known as a Defender 90, the number representing its wheelbase length in inches, though in reality the wheelbase was closer to 93 inches. The previous five-door was known as the Defender 110 and featured a 110-inch wheelbase. It isn't clear if Land Rover will stick with this naming convention for the redesigned Defender. Instead, we could see the automaker call the short-wheelbase model a Defender Sport and the long-wheelbase model simply a Defender. Open-top and pickup versions of both models are also expected. 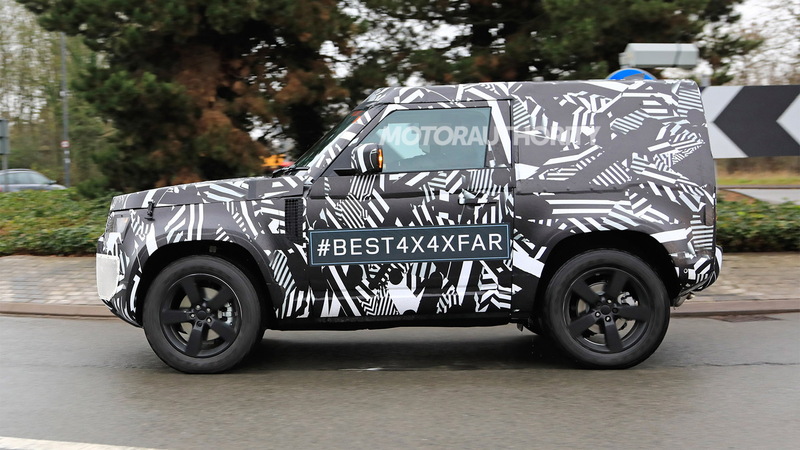 The redesigned Defender was originally due in 2015 but frequent design changes led to delays. 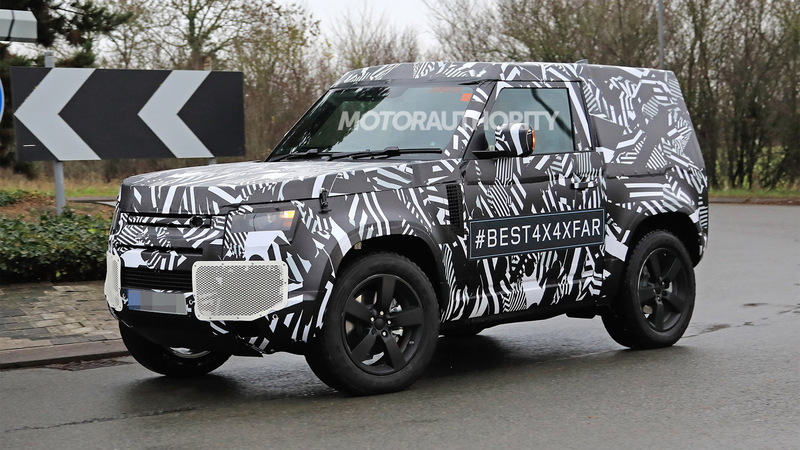 The changes included a decision to base the SUV on a new platform known as the Modular Longitudinal Architecture (MLA), which will be shared with next-generation versions of the Range Rover, Range Rover Sport and Discovery. This means fully independent suspension front and rear, with the new rear design in clear view in the spy shots. A low-range transfer case and multiple differential locks should still be present for superior performance when going off-road. Powertrains should include a 2.0-liter turbocharged inline-4 as the base option and the same engine working with an electric motor in plug-in hybrid guise. Such a setup features in plug-in hybrid versions of the Range Rover and Range Rover Sport where it delivers 398 horsepower and 472 pound-feet of torque. A turbocharged 6-cylinder is also likely, as is an electric option. Though it's yet to be confirmed, there are rumors Land Rover will handle production at its new plant in Slovakia instead of in the United Kingdom to reduce costs. The plant already builds the Discovery. That way Land Rover can free up capacity at its main plant in the U.K. for the premium Range Rover models. 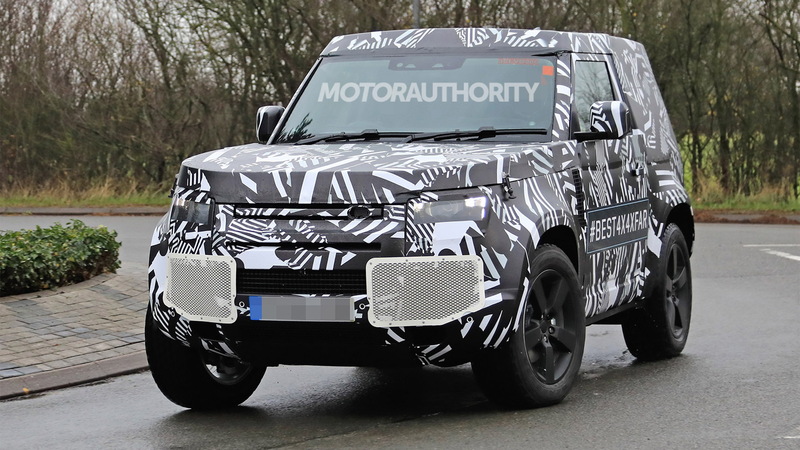 It's possible the redesigned Defender will be previewed this year to coincide with the 70th anniversary of the original Land Rover's arrival.